Learn about yourself and new cultures during these cross-cultural odysseys. Camp, raft and perform local community service projects in Central America. These courses are geared to young adults, age 18 and older. adults only. 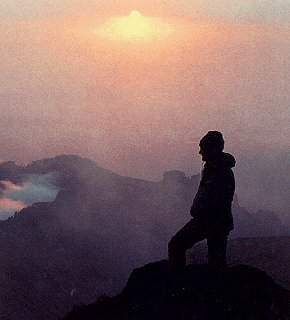 Travel picture of Surveying the mountains of Central America. Do you have programs for Senior women? I am 62 and would love to do an Outward Bound trip with people my age.